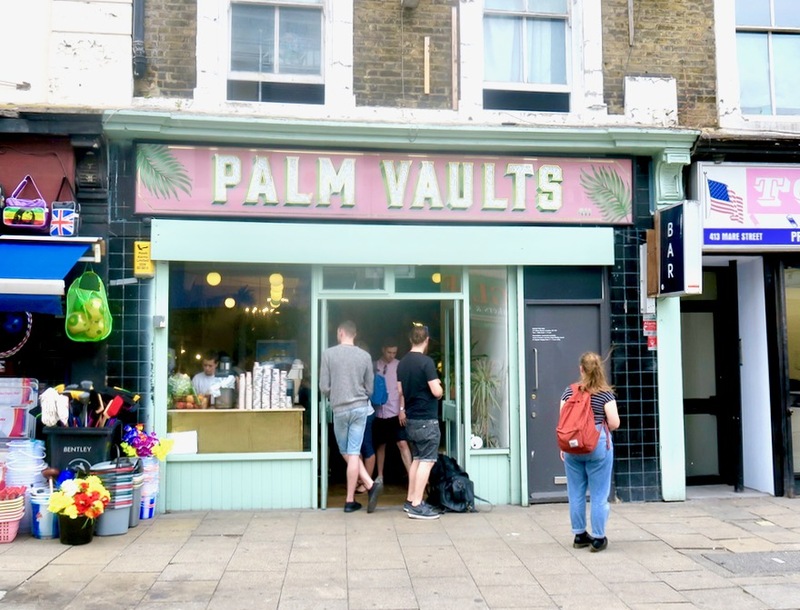 Palm Vaults in Hackney has been on my must visit list for a while now and, after a dreary bank holiday trip to Cornwall, I was craving a little sunshine. 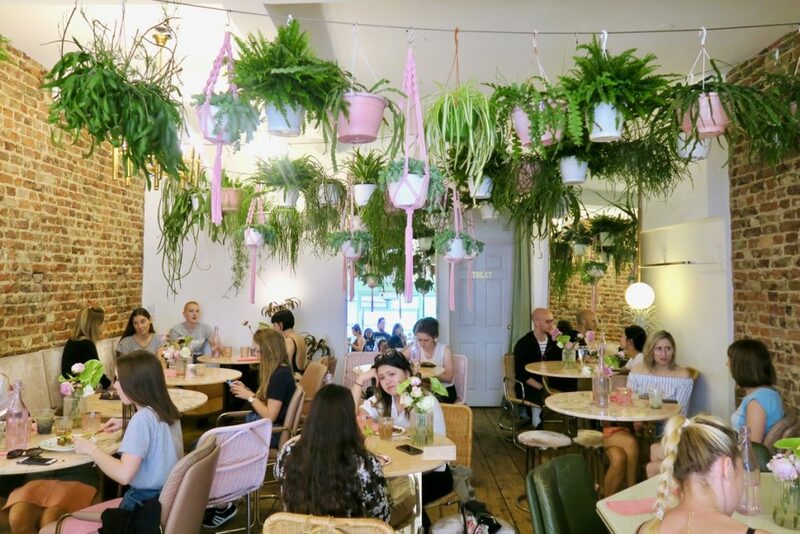 Although the weather in London was just as miserable as further South, I knew that this little café was just the place to get that holiday vibe. 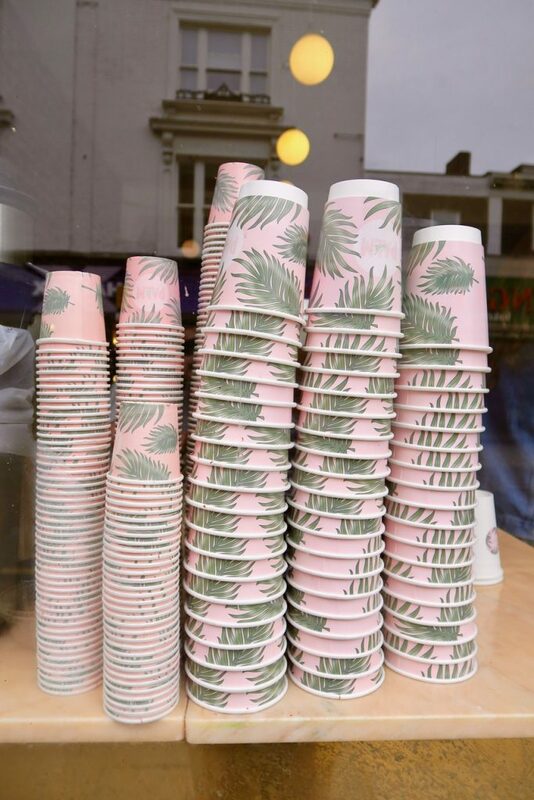 Baby pink decor and rose latte’s might not seem like my typical style, but I love a place that dares to be different and from what I had seen on Instagram this independent cafe was going all out with their unique style, which is a mixture between a 1980’s sitcom and a tropical garden. Arriving pretty late on Sunday afternoon we joined the queue and waited around 20 minutes to be seated, during that time the place was non stop with people joining behind us or swinging by for a takeaway coffee in one of their trademark palm tree cups. Grabbing a space at a large sharing table we were handed a pink A5 paper menu and a pink glass bottle of water. 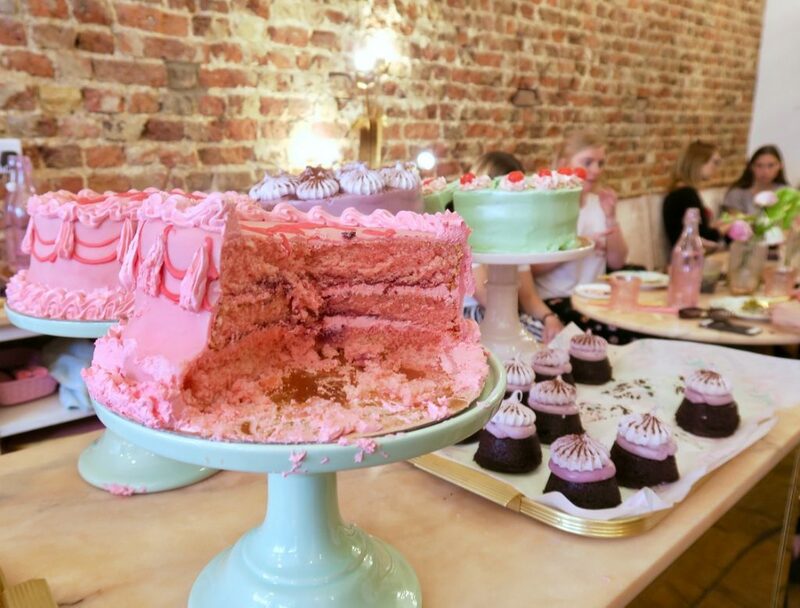 The food selection was small, mainly made up of open sandwiches, toasties, baked goods from fellow local businesses, as well as in house baker Hebe Konditori, which were enticingly displayed along the main counter. 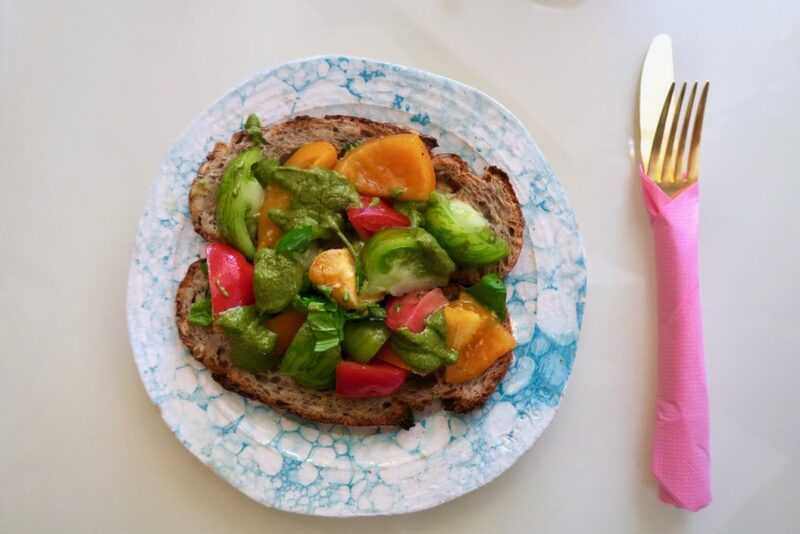 Those around us went for the vibrant cakes but not having such a sweet tooth Pablo and I selected the Fire Girl toasted sandwich with vegan cheese and the heirloom tomato and pesto open sandwich. Whilst we waited for our food we ordered a couple of the huge selection of interesting drinks from the menu I had been pondering over whilst waiting for our table. Not having any idea what a “tonic latte” was I, of course, ordered one. I went for the Midnight variety mainly because I liked the name, while Pablo selected the Red Velvet Latte. 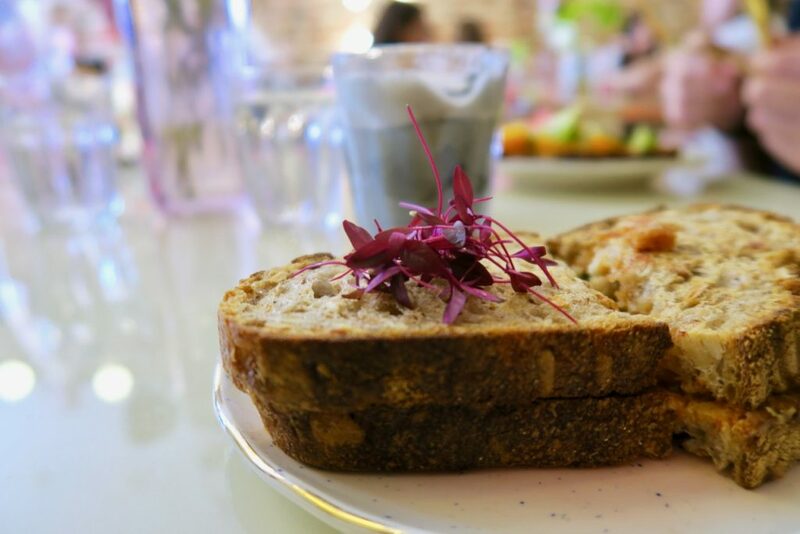 To accompany the large drink menu of exciting coffee’s, teas, juices and smoothies they also had a wide range of milk to choose from, which is a real treat for a dairy free veggie like myself. Our food arrived before our drinks, but that wasn’t a problem as we were kept topped up with water. 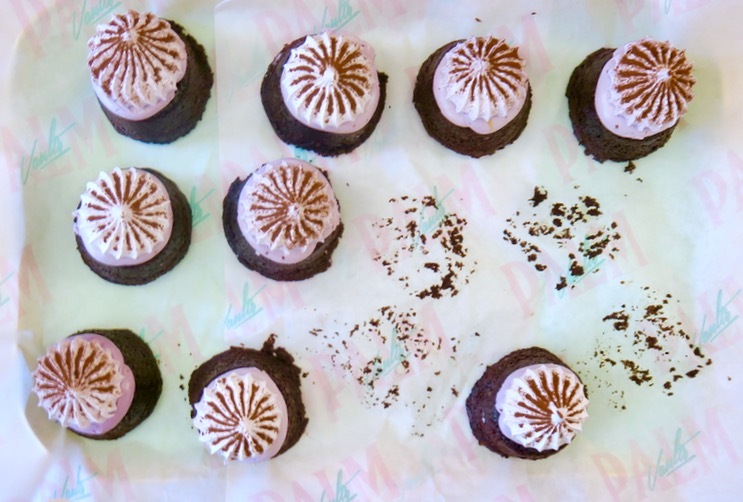 Presented on cute mismatched plates and with gold cutlery wrapped in pink napkins I was excited to see if the food lived up to its surroundings. 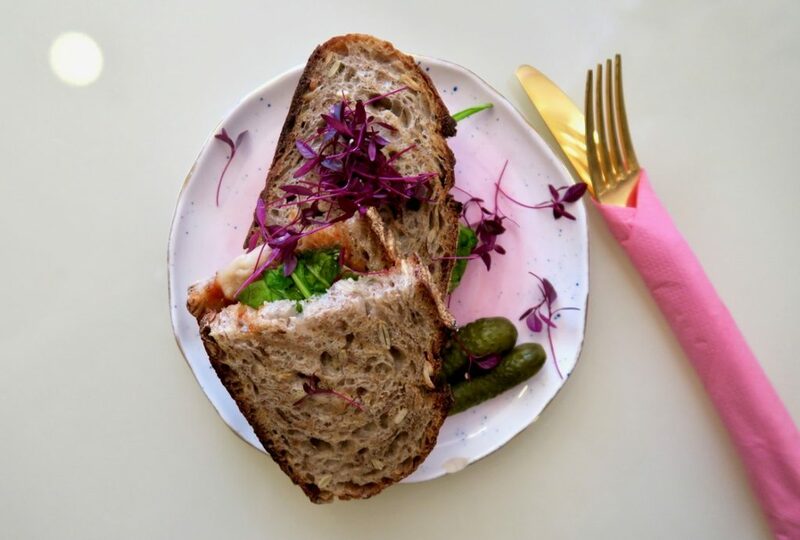 The sourdough was that perfect balance of fresh and tough, vegan cheese melted to a gorgeous oozing consistency which was all pulled together by a sweet, yet fiery, tomato filling. 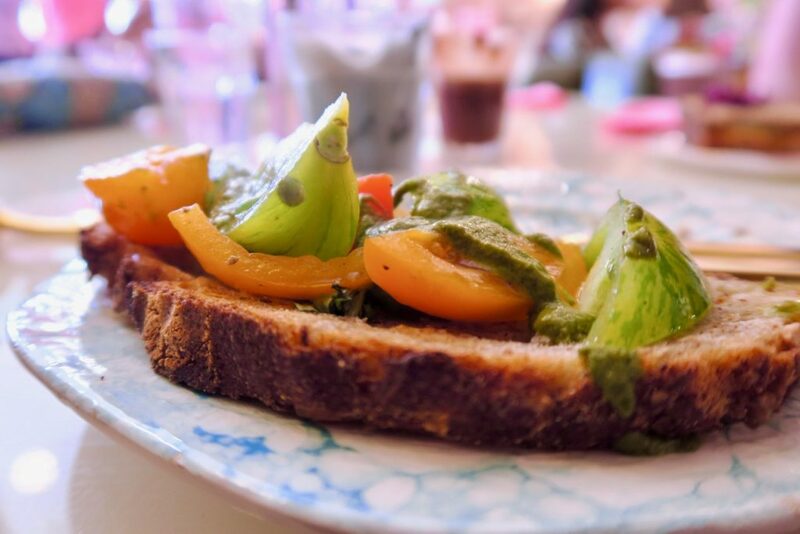 Pablo’s choice was equally delicious with super fresh colorful tomatoes drizzled with just the right amount of homemade pesto. 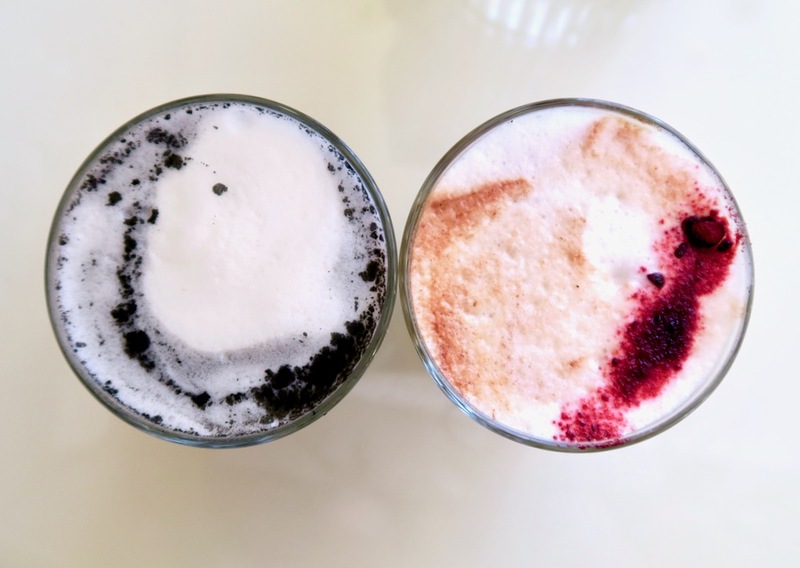 Soon after, our drinks arrived; to my delight the mystery midnight tonic latte was almost black enough to match my soul (and 90% of my wardrobe). 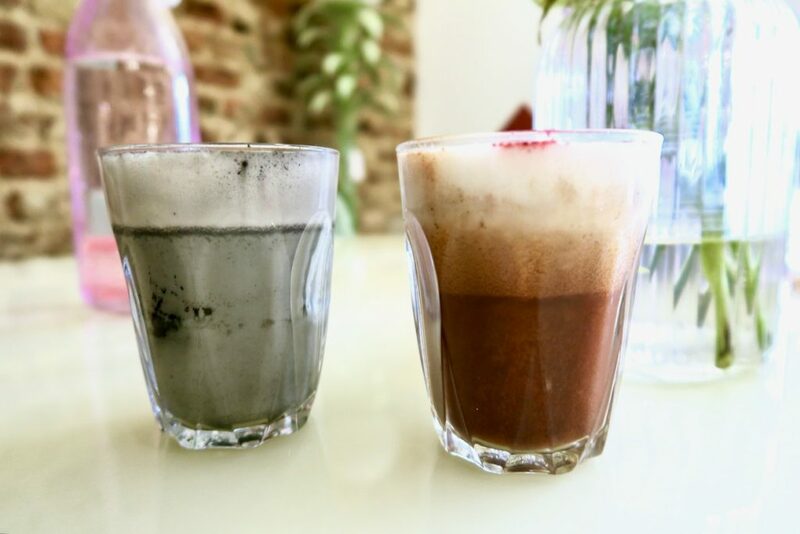 The latte was made up of coconut and charcoal and apparently is their top recommendation for a hangover. Whether you have been boozing or not, this drink was perfect for a hot summer’s day with the coconut taste making me truly feel like I had been transported to the tropics. Finishing up our meal we felt super relaxed and ready to take on the rest of the day exploring East London. 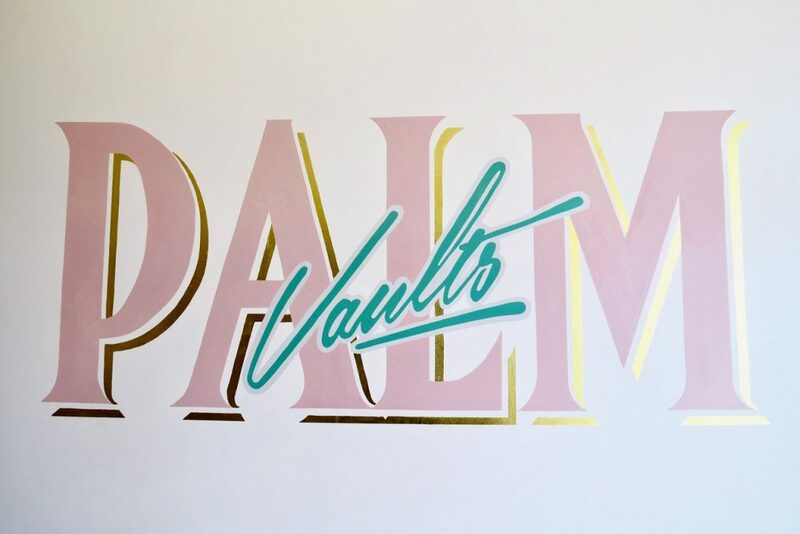 Palm Vaults not only looks like it is straight out of 1980’s Miami but with its laid back vibe, light uplifting food and drinks you will feel like you have been transported to much warmer climates – even if it’s only for a few hours. Will definitely have to try and get down to see it! Will definitely have to try and visit it someday!